If you want a Low Down Payment Auto Loan and an easy way to get credit for a car loan, come visit us at Del Toro Auto Sales in Auburn. We have a large variety of quality used vehicles for your viewing and will only occupy a few minutes of your time to apply for financing on our website. Fill out the credit application online to get closer to owning a car that you desire. It’s important to conduct business with a dealership who has superb customer service while researching dealerships who offer Low Down Payment Auto Loans. At Del Toro Auto Sales, we strive for customer satisfaction and make you feel at home, whether it's to ask questions, need help with auto financing or making your decision between a few vehicles, we will help you achieve your goals. We pride ourselves in the service we provide with the utmost professionalism. You can visit our website to view the reviews from customers expressing contentment in our service and approach. 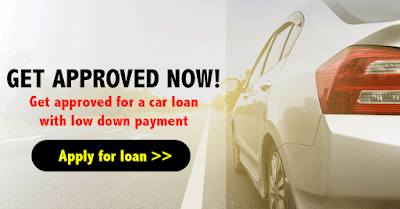 When you begin conducting your research for Low Down Payment Auto Loans inAuburn, we suggest you first look at your credit report, which, it’s available once a year at AnnualCreditReport.com. This report is a report of your financial history as well as your credit card limits, and it is what your credit score is based off. Dealerships view this report to determine your interest rate and many other factors. Thoroughly look through this report to ensure it is error free, and if you find errors, you need to report it to the credit bureau that made the report or the company that gave you credit. You will also want to view your credit score to see where you stand, but you might need to pay to order this. We at Del Toro Auto Sales have designed our website to easily navigate through in an effort to expedite your research and purchase process. View our website to narrow your search, view photos, compare models and CARFAX history reports. Once you find a vehicle or two, schedule a test drive, find out your trade-in value, or use our Payment Calculator to determine your monthly payment. You can find exact directions, contact information,finance application and other features. Our team is here to help. At Del Toro Auto Sales you can get a Low Down Payment Auto Loan. Visit us in Auburn seven days a week. We provide a great selection of vehicles with a superb team who is dedicated to provide you with great customer service. Well it depends on the bank rules and regulations as without it you can't be sure about this. If you are looking for bendpak scissor lift,then you can contact segaequipment for further details.